This white villa (originally a private house) was designed by G.W. Baas, who worked with Brinkman & Van der Vlugt. 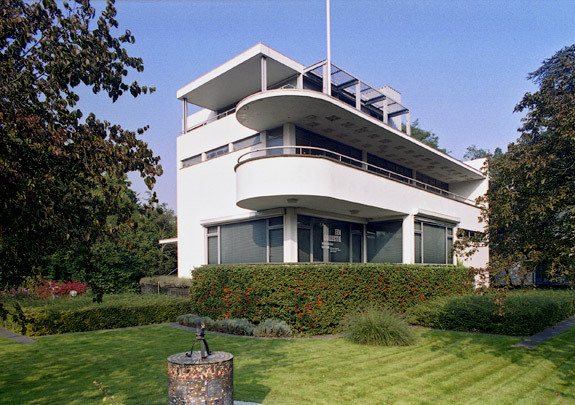 Though obviously indebted to the two neighbouring villas by Van der Vlugt (Private House Boevé, Private House Sonneveld) this one has more grace, as is evidenced by the rounded balcony and canopy and by the free composition enabled by using a concrete frame. In 1993 the house was recast as a museum for the work of the local Expressionist painter and sculptor Hendrik Chabot.